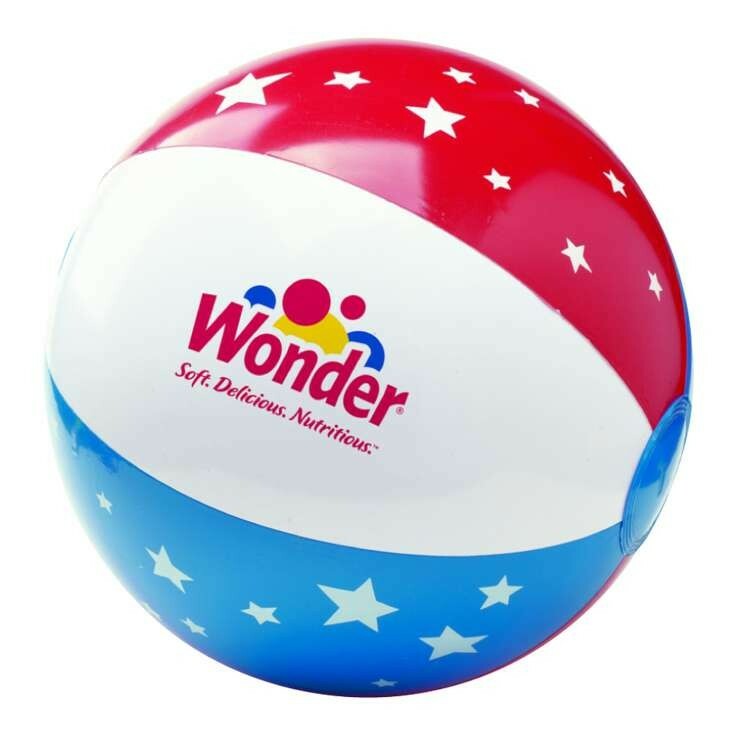 Nothing says summer fun-in-the-sun quite like an inflatable Beach Ball nor celebrates the USA more than a stars and stripes theme! They have been used as giveaways at trade shows and at sales meetings; and they are great for any beach themed or pool party event! The possibilities are endless! Easy to mail when flat. Combine them with our sand toys or any of our other outdoor products for a powerful promotional kit! Call for details! Beach Balls are measured inflated half the circumference from pole to pole. Copyright Pro Printing. All Rights Reserved.